Chiefs Hockey Korea: RMT Chiefs Pull out a Big "W"
RMT Chiefs Pull out a Big "W"
The Chiefs showed up Sunday morning with a full roster and were hungry for a win. 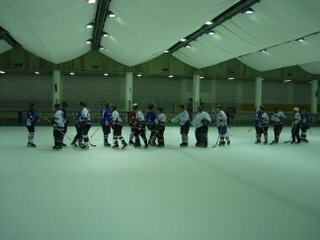 Their competitor, and friends, the "Evil" Inchon IceHoles. Conditions were just right. A 10 am start, let the cobwebs fall and we seemed confident. There were even two back ups (Joakim and Jay) at the rink ready to go, incase of any no shows. Reff Terry, got the game underway after a good warm up. Through the game there would be a bit of stick work but Terry kept it under control. The game would see the Chiefs go on the board first, but it would be quickly answered by three from Inchon. The second saw the Chiefs want to win. 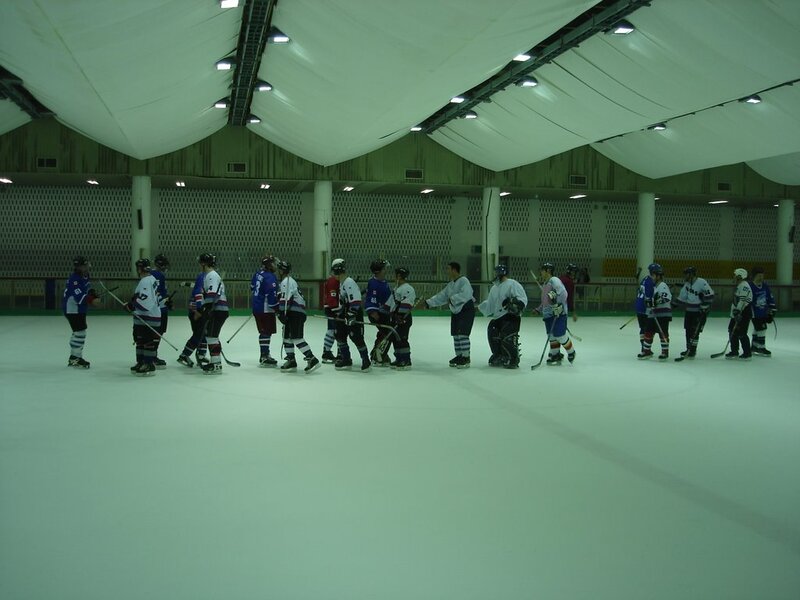 Later in the 2nd the Chiefs went on and scored 4 goals and the I-Holes netting one more. The 3rd started at a score of 5-4 and would see another quick goal by the fired up Chiefs. Inchon would score again to make it a close one however having to pull their goalie late in the third, late Jack would get the empty netter to secure the Chiefs win at 7-5. I must say, because we play Inchon usually every month and they have been spanking us for the past 4 games in a row, this win feels really good. Good work to all those who played. Next month we'll be rotating in players who sat out(thanks to those who did) or couldn't play in this game. Got it? In between my wobbling around and head on collision with Walter I was glad to simply have survived. Thanks for the nod, but I played a small role in comparison to the rest of the team, especially our 'D'. We owned them from the 2nd period on. Rene made some sweet saves to help secure the win as well. You're right Ryan. We did win two in a row! haha..
Don't be so modest, Ryan, you had a great game! As for me, if I hadn't allowed those three crappy goals at first, I wouldn't have had to make sweet saves later on!!! LOL! Rene "Way to go Chiefs" Boucher.